Earth Friendly Nursery & Toy Cleaner is made from plant-based ingredients, providing a natural and pH neutral way to thoroughly clean all nursery and toy hard surfaces. 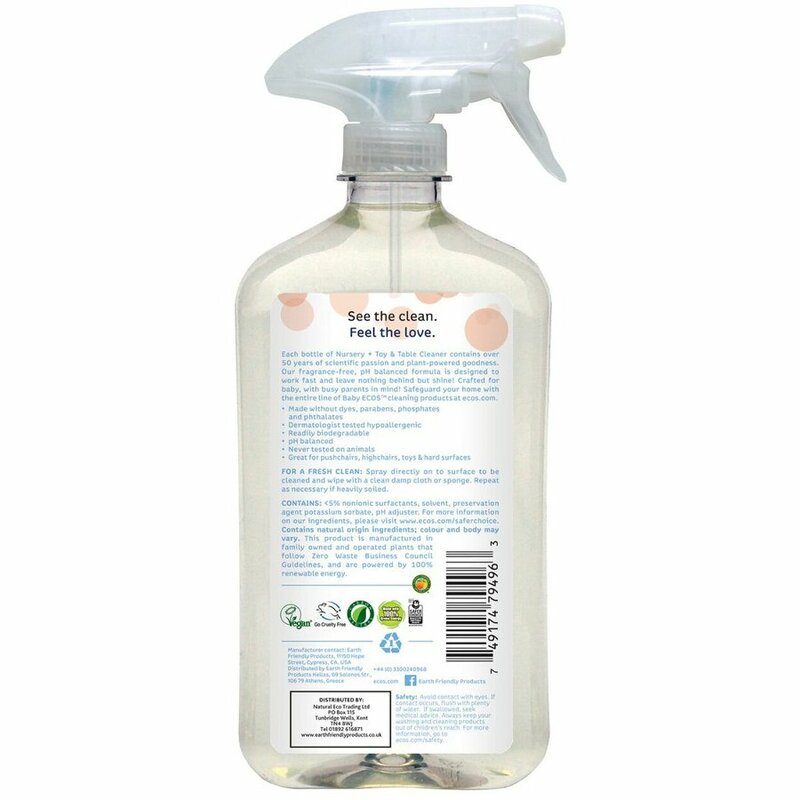 This fragrance free nursery and toy cleaner contains no harsh anti-bacterial ingredients, leaving no chemical residues found with conventional cleaners, effectively removing dirt and bacteria in a safe and natural way, perfect for babies and children! water, denatured alcohol, < 5% non-ionic surfactants, potassium sorbate and citric acid. Spray directly on to surface to be cleaned and wipe with a damp sponge or cloth. Repeat as necessary if heavily soiled. The ECOS Nursery & Toy Cleaner - 500ml product ethics are indicated below. To learn more about these product ethics and to see related products, follow the links below. Gave this to my daughter who is very pleased with it. Ideal for cleaning baby's things without exposing to harsh chemicals; good point and squirt nozzle. Made entirely from plants, no chemicals. It cleans perfectly, I use it for everything including the kitchen and bathroom. 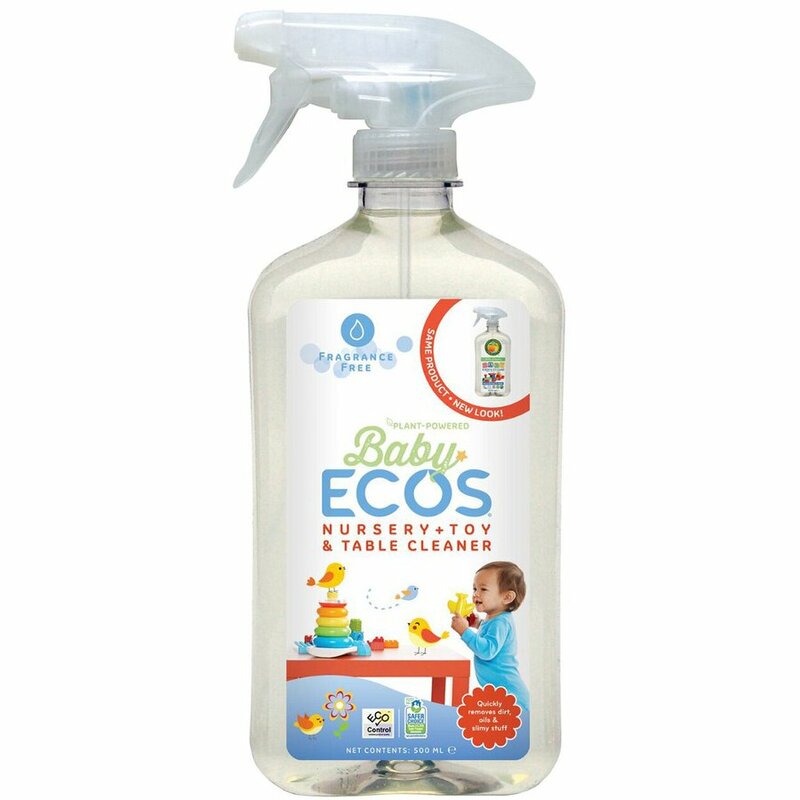 There are currently no questions to display about ECOS Nursery & Toy Cleaner - 500ml.